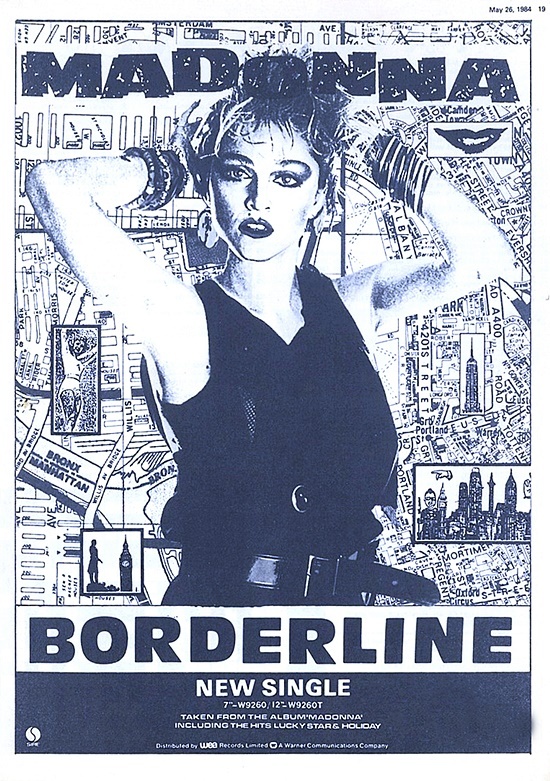 On June 16 1984, Borderline became Madonna’s first Top 10 hit when the single peaked at #10 on the Billboard Hot 100 in the U.S.
Madonna is someone who definitely matters because of Borderline. Her first Top Tenner is still a brilliant Pop/Rock song with heartbreak lyrics and a bittersweet melody-a Madonna hallmark and trademark! Her first lyrical theme-Unrequited Love! Madonna has done a lot of living and she has a certain sadness-to prove it!